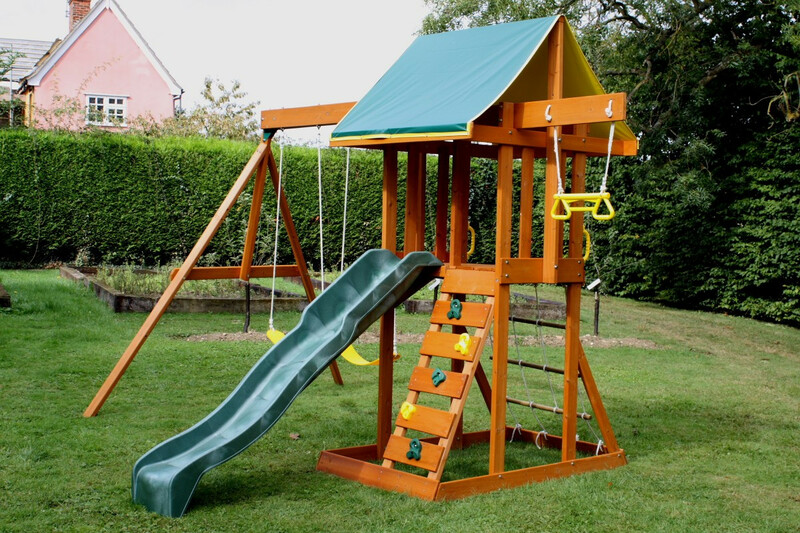 The Meadowvale climbing frame is a fantastic quality, cedar wood playset ideal for younger children, although it does cater for those aged 3-10. 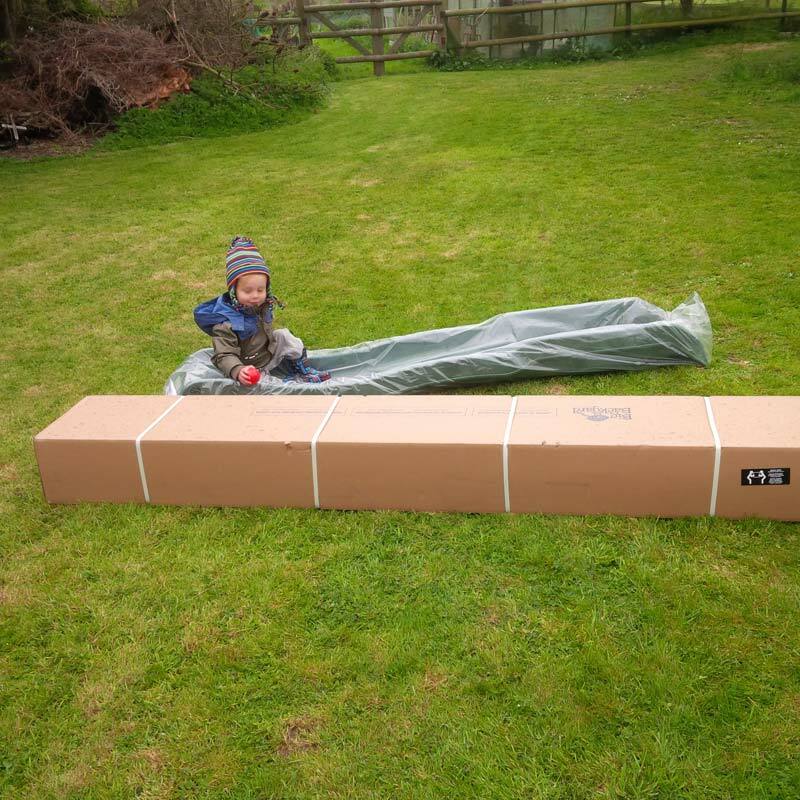 This well-established and popular climbing frame features a large play deck, measuring 98cm by 68cm which is covered by a UV resistant and colour-matched vinyl roof to protect your children come rain or shine. 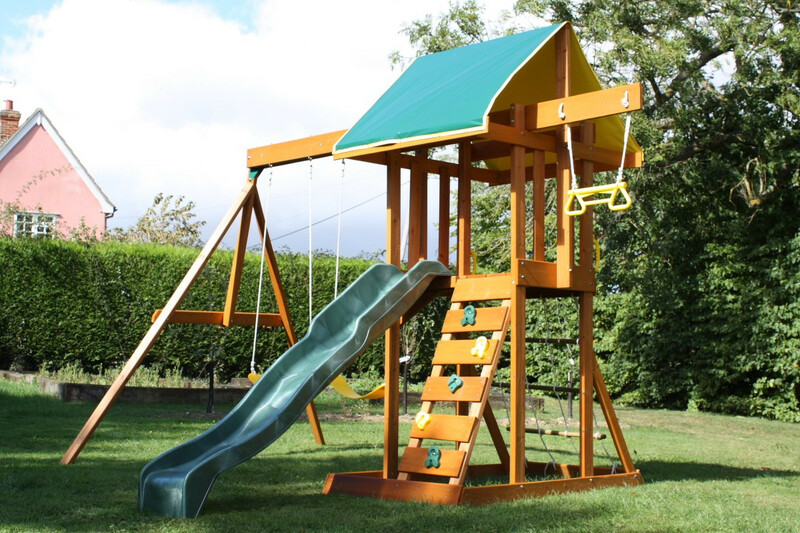 The Meadowale climbing frame is built with cedar wood which gives a stylish finish that's very strong and resistant to rot and infestation. The wood is soft to the touch so it's ideal for little hands using the frame. 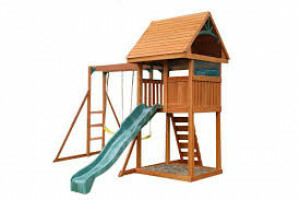 The Meadowvale climbing frame has slatted walls around the 120cm high play deck which offers a real "fort’’ feel. 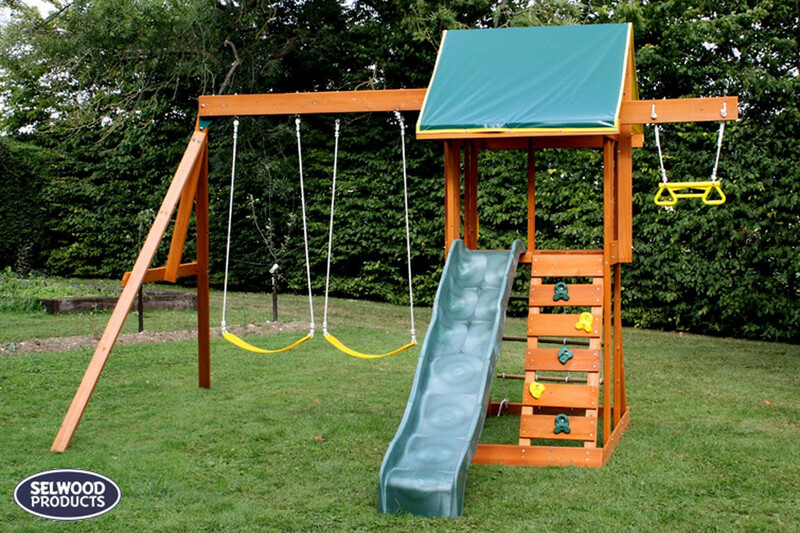 Below the play deck there is also plenty of space to create a sand play area, a ball pit area or even a place to store away the rest of their garden toys. 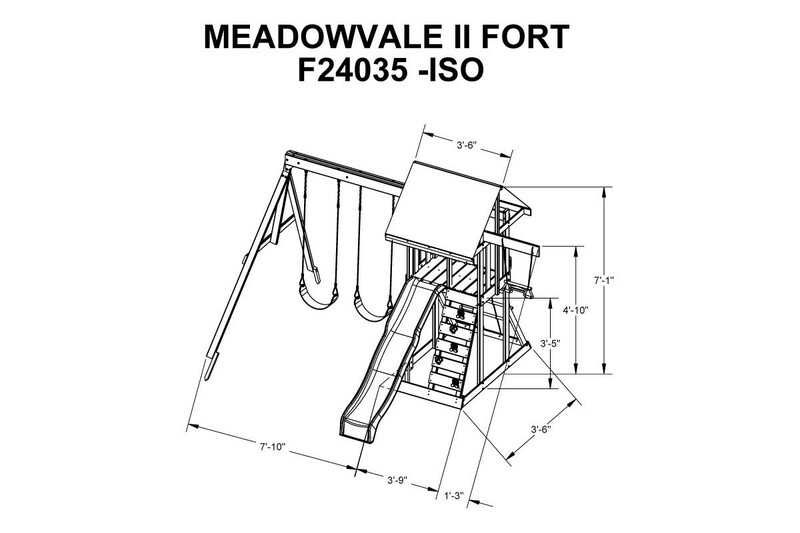 The Meadowvale Climbing Frame comes with two belt swings located on the swing beam to the left of the main climbing frame's fort and a trapeze bar located to the right of the fort. 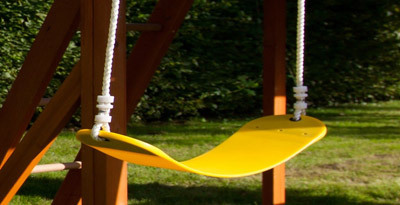 The belt swings are manufactured from a flexible plastic which molds the seat around your child's hip providing a tight, secure & most importantly comfortable seating position when swinging. 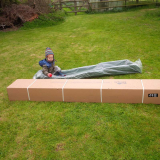 The Meadowvale climbing frame comes with a 2.2m wave slide. 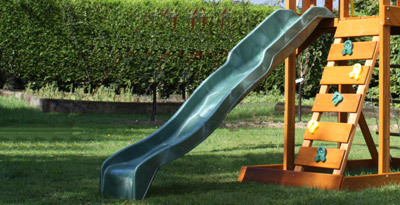 Descending from the 98cm by 68cm play deck, the slide offers a thrilling ride and an exciting wave in the middle. 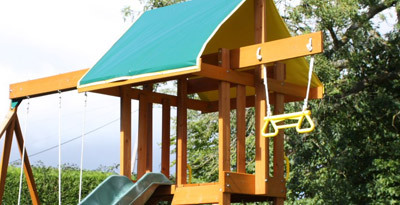 Our slides also offer 2 unique safety features including high rails at the top to help provide a safe entry and supports at the base of the slide to ensure a safe exit. The Meadowvale climbing frame's combination rockwall ladder has five professional style climbing rocks as well as 7 wooden slats with gaps between each slat to enable younger children to climb the ladder. There is also a cargo style net at the back of the fort allowing children to make a slightly more challenging climb to the upper fort level. Underneath the main fort there is an area that would be perfect for creating a sandpit. If you did decide to turn this area into a sandpit then we would recommend that you install a weed suppressant membrane before placing any bags of play sand into the new play area. This will help to keep the sandpit in pristine condition. 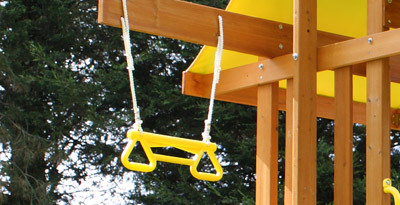 The Meadowvale climbing frame is pre-cut and pre-drilled which helps make home-build as easy as possible. We also supply an illustrated owner’s manual showing you exactly how to build the frame. 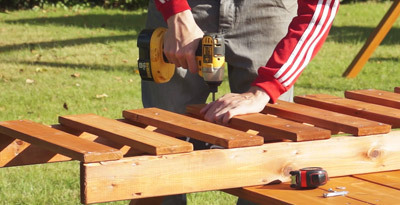 All you need is basic DIY tools. 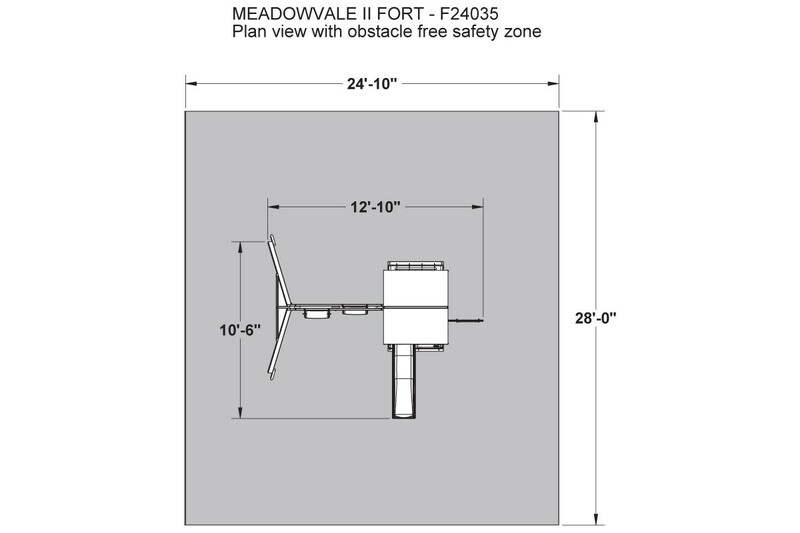 The Meadowvale is designed for children aged between 3 and 10 years of age and is tested (EN-71 & ASTM) to meet requirements for private residential use – this climbing frame is not suitable for commercial use. 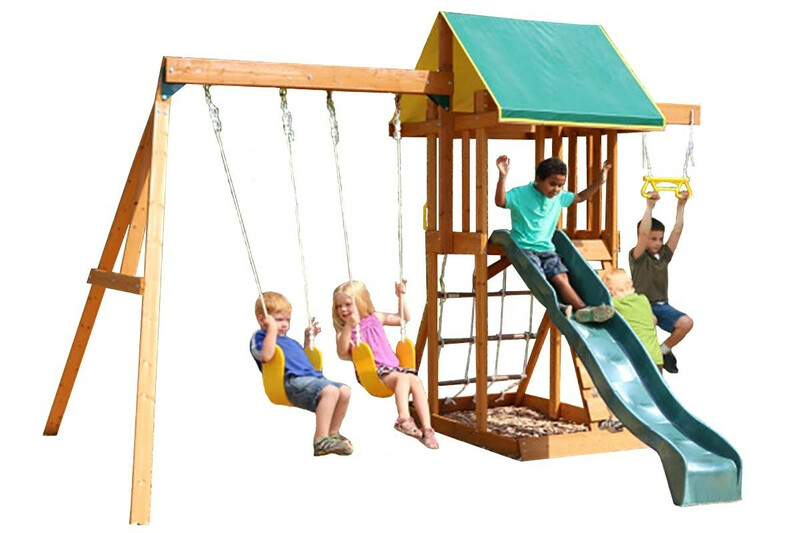 We wanted to get some swings and a slide for our 2 boys, looked in all the 'high street' retailers and specialist kids toy..places.. but nothing really grabbed us..looked online and stumbled across all the Selwood products, looked fantastic but most were out of our price range...then found this one!! On a VERY good offer direct off the Selwood site.Order process and delivery was very good.Set took a few hours to set up by me and my dad with minimal fuss -a few weird instructions or wrong on a couple of occasions.The product - all soft wood but looks fairly decent. I think the price I paid was fair for the product and would be very disappointed if I paid full wack for it.Boys love it, and it's been used everyday since its been here.